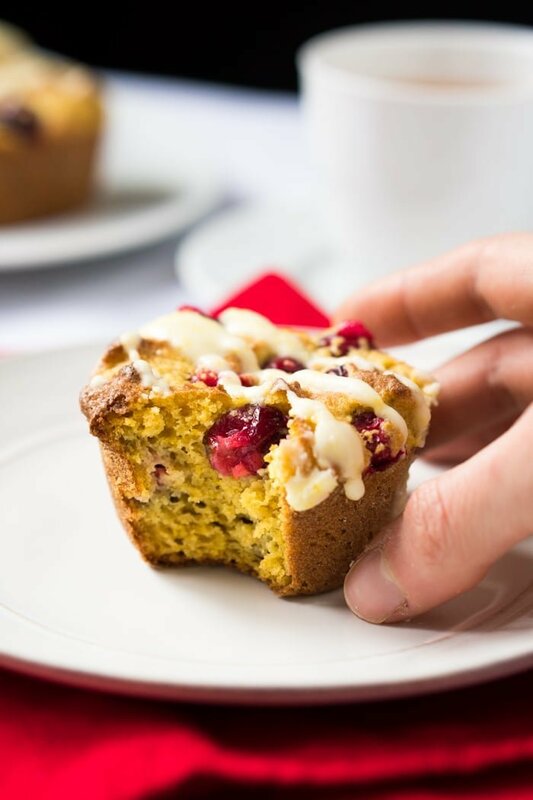 These gluten free and keto cranberry orange muffins are truly special, and some of the most aromatic muffins you’ll ever bake. Think of a ridiculously tender and moist sweet-orange crumb, paired with wonderful tangy cranberries. A marriage for the books. i.e. pure bliss in every bite! So if you’re an orange and cranberry fan, these guys are a must make. Yes, oranges are a no-go in the keto diet. But you’ll often find orange zest (and a small amounts of orange juice) scattered throughout keto baking (and even cooking). This is because a little zest goes a long way, and net carb impact is minimal in the end. But know that you can always opt for an orange extract. Just keep in mind that we always prefer the more natural route, which we believe it’s what keto is all about. We like a mixture of super fine almond flour and coconut flour best. Add a touch of psyllium husk and xanthan gum, and we’re golden. And don’t skip the psyllium husk. It helps retain moisture, create structure (i.e. it’s highly responsible for the killer crumb), and it just so happens to be a killer source of fiber (it’s responsible for 2g of fiber per muffin 💩!). Without it, your muffins will be more crumbly and they may collapse more when cooling. They will, however, taste the same. We also highly suggest you do not skip the xanthan gum here, as your muffins will be more crumbly. Borrowed from molecular cooking, xanthan gum is the binding agent which makes your toothpaste jelly-like (and your cream cheese, well cream cheese-like). And it’s also the most common gluten-replacer in gluten free baking. You can (if you absolutely must), substitute in with twice the amount of ground flax seeds. 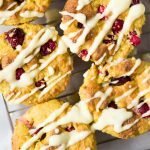 These keto cranberry orange muffins work well with Swerve, xylitol and Pyure. So you’ve got options. And if you’re doing the orange glaze, which comes highly recommended, your best options are Swerve or xylitol (same amounts). They’re roughly 1-to-1 in sweetness to sugar (and you need the ‘bulk’ here guys!). But they must be powdered. Whisk together in a medium bowl almond flour, coconut flour, psyllium husk, xanthan gum, baking powder, baking soda, and salt. Set aside. In a large bowl with an electric mixer on medium speed, beat egg yolks with sweetener until pale and fluffy, 1-3 minutes. Incorporate orange zest (or extract), vanilla extract, vinegar, and melted butter. Add flour mixture slowly, alternating with water (or orange juice) and beating until well incorporated. Fold egg whites little by little and gently into batter. The dough will be thick initially, but will loosen up as you begin to incorporate the egg whites. Fold in cranberries. Spoon batter onto the prepared muffin tray. Bake for 18 to 20 minutes (covering with aluminum foil at minute 13-15), until deep golden and a toothpick inserted comes out clean. Allow to cool for 15 minutes in the pan before removing, and cool completely in a rack (they will be very tender when warm, so handle gently). They will also collapse slightly as the cranberries weigh them down. While the cranberry orange muffins are cooling, make the orange glaze by mixing the powdered sweetener with the orange zest (or extract) and water (or orange juice, if you so desire). Store in an airtight container for up to 3 days, though we're fairly certain they'll be long gone before then. *Or 3 tablespoons Pyure. Please see section on Sweeteners for more deets and possible substitution. Please note that nutrition facts below are for the keto cranberry orange muffins with the zest and 2 tablespoons of freshly squeezed orange juice. Does the nutritional breakdown include the glaze? Can frozen cranberries be used in place of fresh ones. Thank you, looking forward to making them tomorrow. Just whipped up a double batch this morning (just forgot the cranberries, bummer…)…HOW do you do it?? Thank you so much! These were absolutely delicious! I didn’t have apple cider vinegar so I used red wine vinegar – still tastes good. I don’t have Swerve. Can I substitute eythritol or xylitol? If so, what would be the change in sweetner quantity? Thanks! 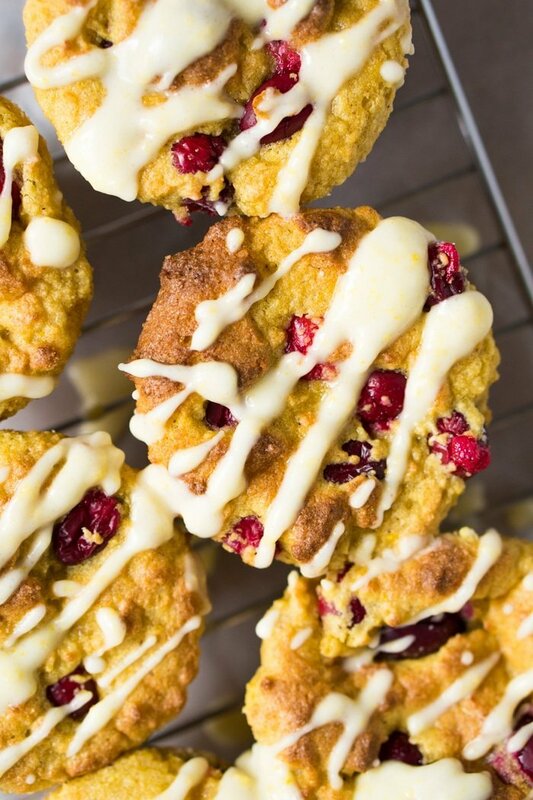 This is a good muffin recipe but cranberries are soooo tart. Too overpowering. I would make again with blueberries possibly. 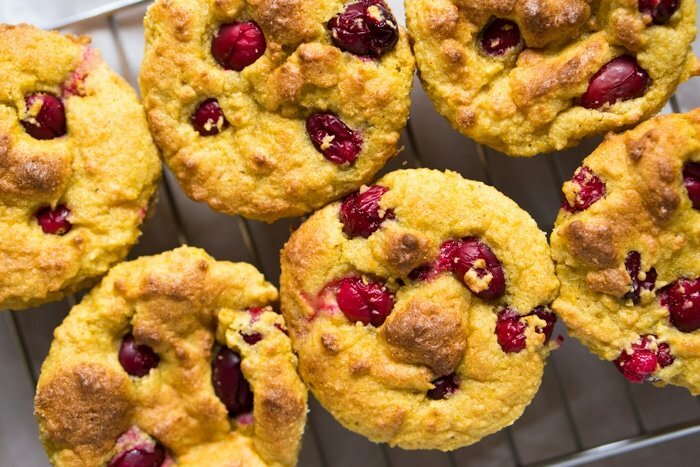 In my life prior to going gluten-free, I used to make a very famous vegan version of cranberry orange muffins all the time. I thought those muffins were lost to me forever. Thanks to Paola, I just enjoyed my first one in probably two years or more. My eyes rolled back in my head as I devoured this delicious piece of heaven. I added a handful of toasted walnuts to my batter for old times sake. Words cannot express how divine these muffins are. How do you do it Paola, time and again?!!! Oh Lisa how wonderful to hear you’re enjoying the recipes so much! I can’t wait to make these soon again (maybe as mini bundt cakes…!). Big kiss and thank you for all your lovely comments!! I made these muffins x 2 this AM; the first time I used silicone baking cups in the cupcake pan–they would Not get baked through- stayed gooey in center even after returning to oven for a total of 45+ minutes. I thought this was probably die to the silicone ? But I made them again without using silicone baking cups and they still will not completely bake. I have an oven thermometer and the temp was correct. The baked edges taste really good but I would prefer to have a whole muffin. I made these this weekend and doubled the batch for company. No one suspected they were keto! I did make a couple of minor changes though. I added a couple of drops of orange oil to water to substitute for the orange juice, and added cinnamon and cloves because I like spice. Will have to make these again! to find recipes that work and he enjoys. I didn’t have cranberries so I just left them out. First of your recipes that I’ve tried. I’m so taken by your recipes that I went and bought your book. 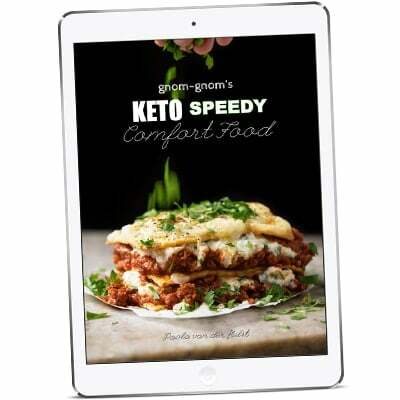 I wish ALL the free recipes on your website were compiled into a book. I would definitely buy it for the convenience of everything in one place. I’ve made these using the recipe above and yesterday, did a twist by making them Lemon Blueberry muffins. Both were EXCELLENT. So excellent, that my dad ate 5 of the double batch I baked for Mother’s Day brunch, and I had to bake a 2nd batch! This is an amazing base. I can’t wait to play with this recipe more… I’m thinking orange and ark chocolate chips on the next go round? Thanks so much for all the work you put into these recipes! One of my biggest concerns going keto was that I love to bake and cook, and I was afraid I’d spend every day scrambling eggs and grilling steak. Using your recipes, I eat AMAZING food every day and am down 15 lbs! These muffins are sooooo yummy! Hi Terri! Thank you for your comment, makes me so happy to hear that you’ve been enjoying the recipes so much (and CONGRATS on the weight loss how fabulous!!). pssst, check out the lemon poppy seed muffins 😉 xo! Hi! I’m going to be making these and was wondering the measurements for the flours– instead of grams, what would it be in cups?? I want to get it just right, thank you!!! Hi Patti! You can always click on US Cups below the ingredients in all our recipes 😉 xo! 🙄 How could I have missed that, lol??!!! Thanks! Dude, these are amazing! The texture is just like “regular” muffins, and they taste so good! 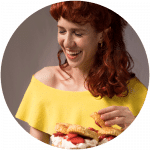 I don’t know how long it takes you to come up with these ingredient combinations, but I think you’re maybe the best keto baker out there. The orange zest was incredibly slow for me to make. I don’t have a legit zester, just a grater, it’s always worked fine for lemons and limes, but the navel oranges I used were just not giving up the zest. After 30 minutes I only had about 1/3 tsp. My boyfriend then had the idea to shave off flakes with a sharp knife and then i chopped them up. Probably saved me 2 hours. I used navel oranges which have a pretty smooth skin, not sure if that was the reason for the trouble. 1 tsp of water was nowhere near enough for me for the glaze. It was a super thick paste. I added another 1/2 tsp water and it was finally soft enough to squeeze slowly out of my piping bag, but i don’t know how you could have gotten the drizzle in your pics with this glaze. And while it tasted awesome in terms of the orange flavor, it also added quite a cooling effect to the muffins (which had none), which was distracting from the overall amazingness of these muffins. Anyway thank you so much for sharing this muffin recipe, wouldn’t change anything about it, they’re perfect! I served these for Christmas brunch and they were AMAZING. Brunch wasn’t over and I was already getting requests to make another batch! THESE ARE ON CRACK! The family polished off a the batch of 12 within a couple hours. My goodness! I never leave reviews, but had to for these. I used the orange zest and Swerve. No cooling sensation AT ALL and I’m very sensitive. And just pure orange goodness with an amazing crumb, which no one would ever be able to tell was gluten free… wow just wow! None of that dry and crumbly mess with usual keto muffins! These are just so tender and moist! 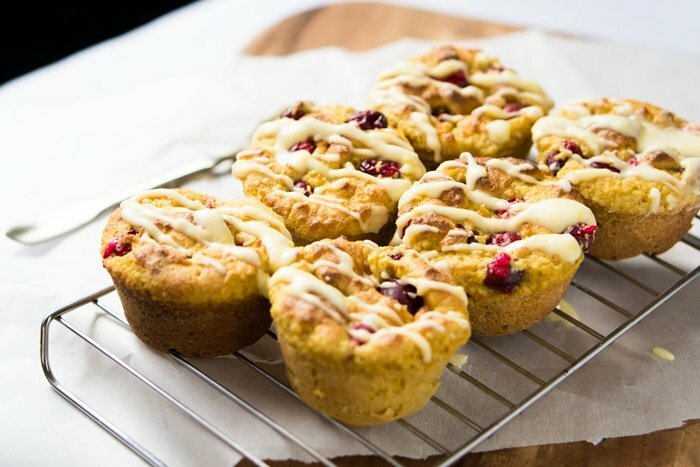 Who would have thought I would find my favorite orange cranberry muffins in a keto recipe?! THANK YOU! I end up pinning EVERY single one of your posts! I think these will happen for Xmas morning!